This is the real challenge. Not an easy job but not so boring, a little bit of mathematics to match the chemistry of your requirements. To be true enough it is not about brands or trade names but it is all how we can reduce the cost to get better results as desired with zero failure rates. Hence the technology matters. All hard drives are not same but are purposely built. Imagine our laptop, we use like anything but not active in operation for 24 Hours & 7 days a week similar is the story for our desktop. We shut-down devices for sometime at least on our holidays and when we take rest. But we never want to shut-down surveillance recording systems like DVR, NVR or related equipment’s, any way who will shut-down the security system. Lets us have little comparison assuming average Hard Disks. The Desktop HDD Spin at 5400~10000 RPM with average media transfer rate of 0.5 Gbit/s compared to Laptop HDD Spin at 4200~5400 RPM with average media transfer rate of 0.625 MB/sec. The HDD drive used to store videos & other graphics continuously without shut-down even for fraction of second need to be robust in construction to overcome any ambient changes & shocks, technically stable & efficient. It matters a lot. Imagine 112 Camera project & 16 Channel NVR’s means we need 7 NVR’s, again if each NVR is equipped with 5 HDD each, just feel the heat generated by such a system. Thus power consumption and cooling system is the point of concern, so need to choose the hard drives wisely not randomly otherwise expensive cooling system will cost a lot and excessive heat deteriorates the performance of device & may result in shut-down & restart that will cause loss in video storage. Really it should be. The vibration & shocks lead to loss of video information hence the desired results are not achieved. Most of Hard Drives have patented anti-vibration technology that helps for the stability of the device against any vibration. 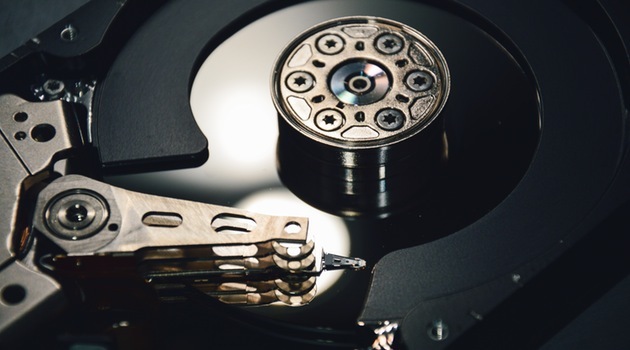 Simply before choosing the hard drive for any surveillance project, we have to compare datasheets seriously & not to ignore even a single factor. A bad Hard Disk means failure.